Today I am back with another much requested post. Durga Puja/Navratri is around the corner and this festival is all about decking up. From head to toe, left to right, every part of the body is given the much awaited makeovers to spice up our look for this season of festivities. Haircuts… it is one of the easiest and best ways to update your look. From subtle changes to adding dramatic twist to your look, a haircut can do all the talking. I personally love to experiment with my hair. Recently, I chopped off my hip length wavy locks to an inverted bob. Layers, fringes, bangs, steps, bobs, pixies..I have tried them all. And with my years of experiment, I have realized that the beauty of a hairstyle depends a lot on your face shape. It is about putting the perfect frame around your face to highlight the good and play down the "not so good". Balancing and bringing perspective to the overall shape is the key. So in this post today, we will discuss how to choose the best haircut according to your face shape. . We will break down the different face types and give you tips and suggestions that will help you choose styles fit best with each face shape. 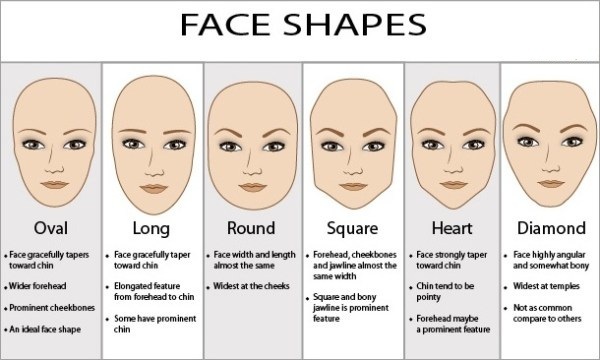 Before going to finding out hairstyles, first analyze what kind of face shape you have. Pull all of your hair back away from your face and tie/clip them; wear a hair band to avoid your locks going astray. Stand straight in front of a mirror and look at your face. Try to determine what shape is your face. See the picture below for reference. OVAL Shaped Faces:- Women with oval shaped faces are the luckiest ones in the planet. Women with oval face shape don’t really have to worry. Long or short, layered or sleek straight, you can carry everything with élan. 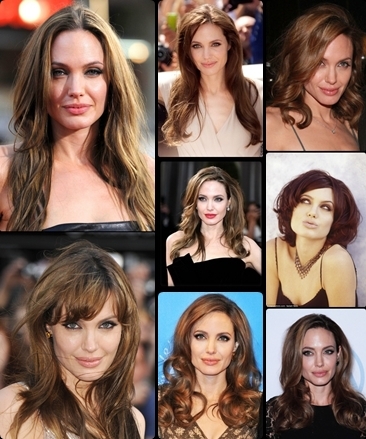 I personally love wavy, long layered haircuts that accentuate their cheekbones beautifully. If you have a round face, opt for volumes and soft layers around your face. Go for layers that kind of come and cover the sides of your face and extends till chin. I hope I made sense. If you want to opt for bangs, split the bang in the middle to break the circle. 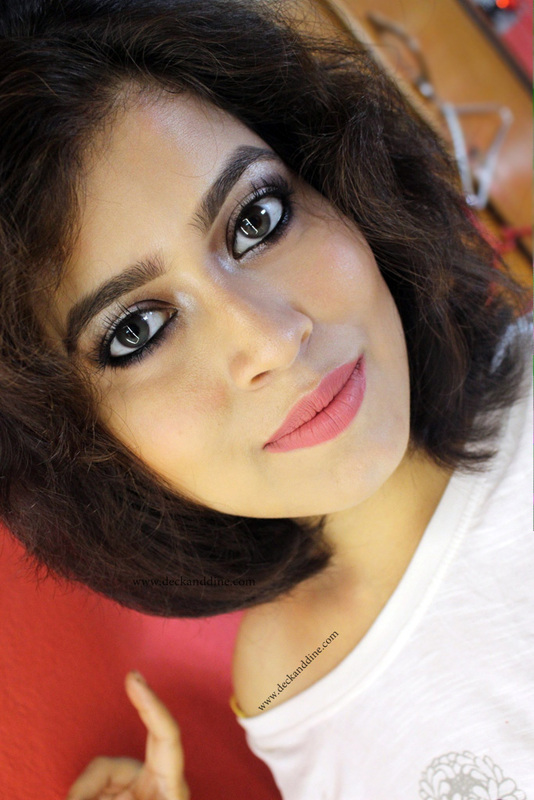 Avoid short hair cuts that will make your round face look rounder. Also keep really slick, straight or slicked back hair at bay. Another thing, when blow drying your hair, always curl your hair outwards. No inward curls for women with round faces. Woman with heart shaped face have broader forehead and narrower, almost pointed chin. The key is to soften the lower portion of the face. So anything like a multi-layered bob or shoulder length inward layers, messy bobs will help you achieve that. If you want to keep your hair longer, go for layers from your shoulder to the tips. Waves and curls also help a lot to soften the cheekbones. Also, bangs that swish to one side will help to cover up the broad forehead, balancing your whole look. If you want to go short, then add some bangs to break the appearance of broad forehead. If you square shaped face, shoulder length or longer hair is best for you, something that will soften the jaw line. This type of face has the effect of broader forehead and thus, in order to minimize it you can place bangs from one side to the other. You can try layered shoulder length cuts with a few short wisps falling through your forehead. Avoid very short hair cuts. In this case, your forehead and chin is narrower that the central part of the face. The key is to take away the boxed appearance and add a softer edge to your look. 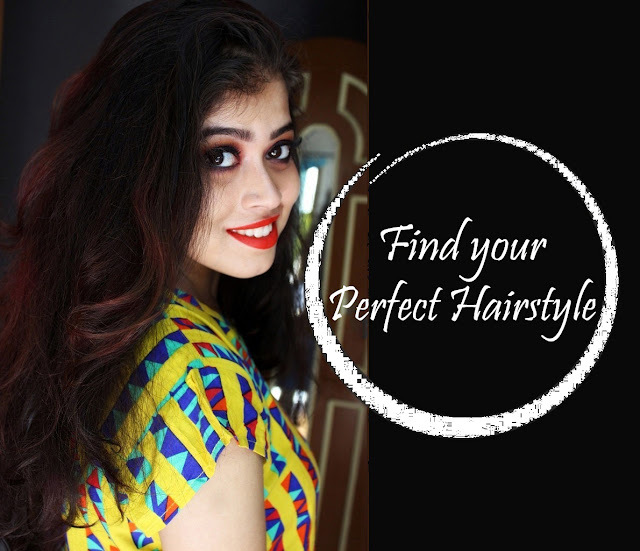 Go for volume on top of your head, messy pixie, asymmetrically placed bangs, layers on the lower portion of your face or long voluminous curls or waves. Long face is ideal for thick long straight, no split bangs. This looks super cute and also will make your face look shorter. Avoid extremely sleek, straight long hair that can make your face look even longer. Instead go for volumes on the upper part of your face to avoid the stretched appearance, but avoid volume on the crown. I would like to say that these are my personal tips and preferences, but ultimately it is up to you to decide which part of your face you would like to highlight or hide. For example, if you have a square face, but you like your jaws, then show it. Go for pixies, short bobs, flaunt your jaw line and let the world go green with envy. You can do whatever you want with your hair, you can wear your hair the way you like. Remember, there is nothing like a bad or wrong face shape. All face shapes are beautiful and a perfect haircut on that face shape looks out of the world. Not every haircuts suits every face-shape, im glad to see that there are blogs like this to help people keep up with the latest trends that would suit them the best!